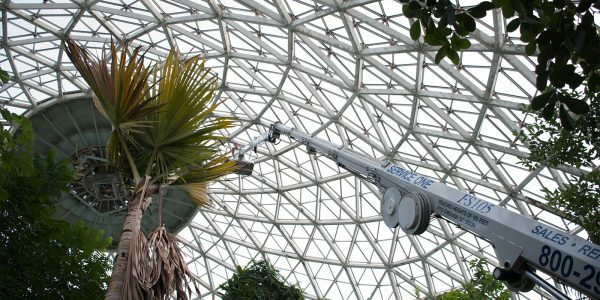 In the height range of 80 to 90 feet, the Denka ranks as the lightest weight aerial lift in the world. Denka’s towable trailer and self-propelled trailer lift models with working heights to 98 feet, are also among the tallest and lightest in the world! 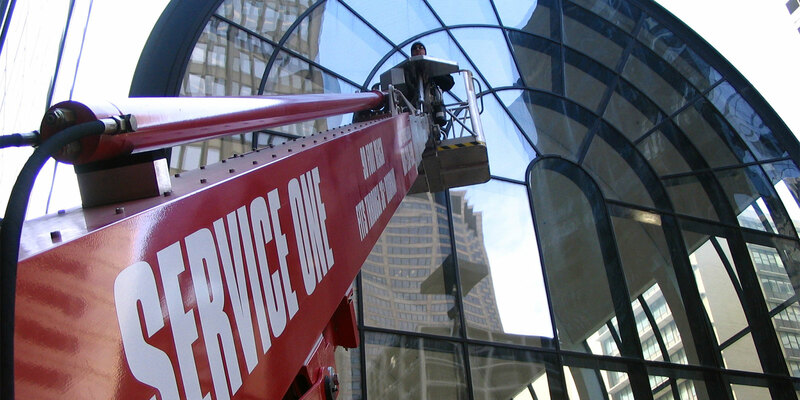 Service One has one of the largest fleets of Denka and specialty Atrium Lifts available for rent, re-rent or purchase throughout the United States and Canada. 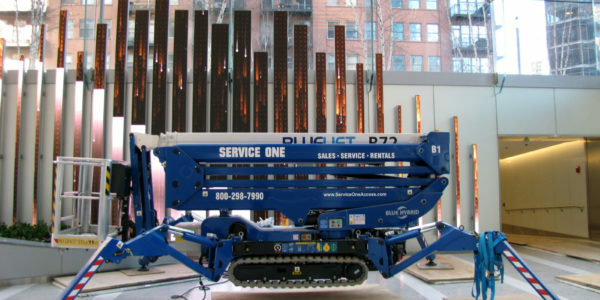 As a factory authorized Denka lift distributor, specializing in sales, service and rentals of compact atrium lifts, Service One is an industry leader and innovator, providing Denka Lifts and warranty support, atrium access consulting services to Architects and Developers throughout the world for nearly 4 decades. When booms of comparable height weigh over 25,000 pounds, the Denka is truly unique, with its low floor pressure loads, compact and flexible design, the 110 Volt smart charger keeps the batteries charged while you work. Nothing beats the reliability and simplicity of a Denka – other lifts simply don’t measure up. Denka Lifts are manufactured in Germany, where European engineering and quality craftsmanship is unmatched. Denka, Reachmaster and Blue Lift OEM Parts and Sales- We stock a large inventory of OEM parts and reconditioned lift Equipment. Call us for all your parts, technical support and repair needs. Our expert mechanics perform annual inspections and repairs and refurbishment of Denka and atrium lifts. 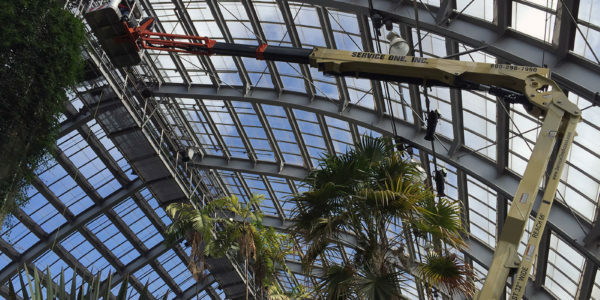 Denka Atrium Lift Model 82N – 82 foot reach – This model is part of the Denka Lift narrow series, and is also referred to or specified as; 82N, Denka Atrium Lift Model AT 80, or DKN3MK25. Denka Atrium Lift Model 92N – 92 foot reach – This model is part of the Denka Lift narrow series, and is also referred to or specified as; 92N. Denka Atrium Lift Model AT 90, or DKN3MK28. 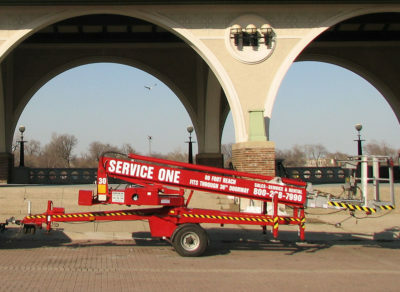 Denka Trailer lift’s reach heights to 98 feet, connect with standard ball and hitch to your two-ton trucks or vans. Denka Trailer Lifts Specifications- Reach heights ranges of 82 feet to 98 feetd- fits through a standard double wide door (63 inches wide), lightweight and unsurpassed height range for its weight and width. 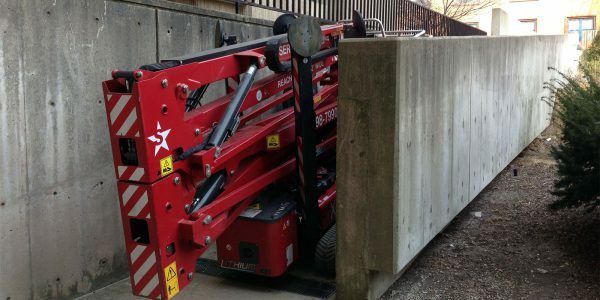 Perfect when stable, level ground or pavement allows tow-behind with truck or ATV. Meets or exceeds OSHA, CSA and ANSI requirements.